The glamour of Montecarlo at your fingertips! Play in one of the world's most famous Casinos and be at the heart of the action. 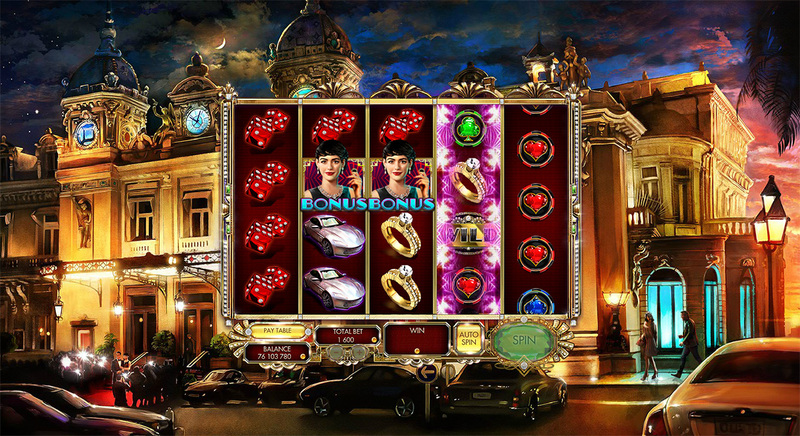 Play slots, bet and win in our 'Double or Nothing Minigame'. Get many free spins in the 'MonteCarlo Blackjack Minigame' and watch additional 'Wilds Rain' down in the 'Free Spins Bonus Feature' in this 5x4 reels and 40 paylines slot. 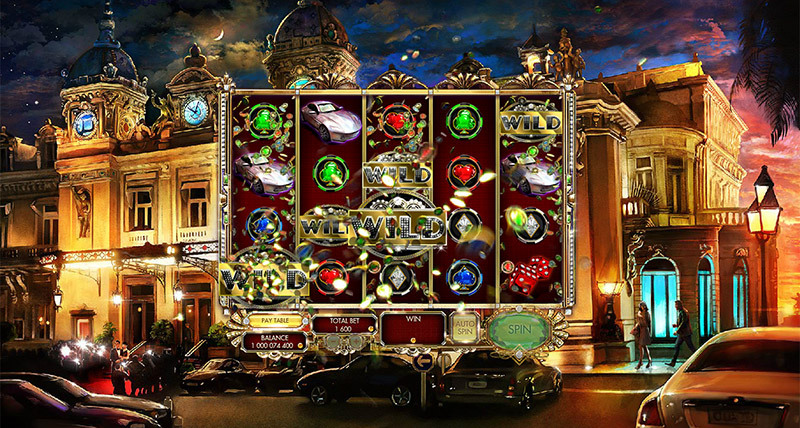 'Free Spins Bonus Feature' with 'Wild Rain'. The 'Wild Rain' functionality can be activated during any regular stage spin. While the reels are spinning, random positions on the 1, 2, 3, 4 or 5 reels could be substituted by Wild symbols. The number of Wilds can vary between 1 and 8. 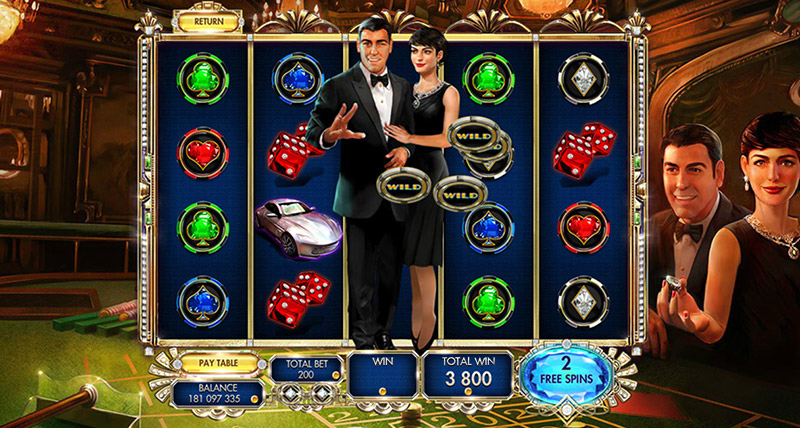 Winning spins with a multiplier between x100 and x5000 launch the 'Double or Nothing Minigame'. You could double your wins 3 times! 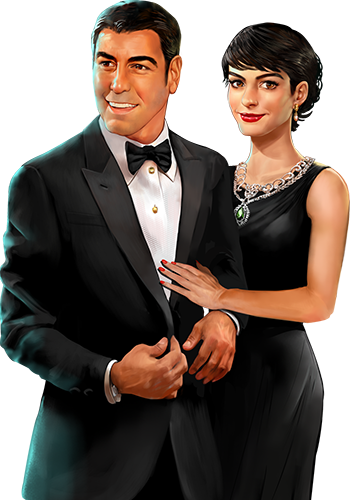 During the 'Free Spins Bonus Feature' the couple players symbol can show. When this happens the symbol expands to fully fill the reel while the player throws casino chips that randomly fall over the reels, both in number and position, changing the symbols in those reel spots into the 'Roulette Wild' symbol. 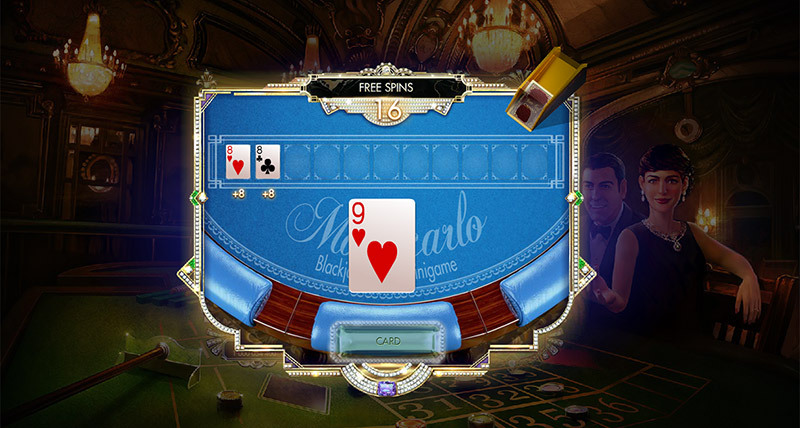 Get up to 21 free spins with the 'Montecarlo Blackjack' minigame. 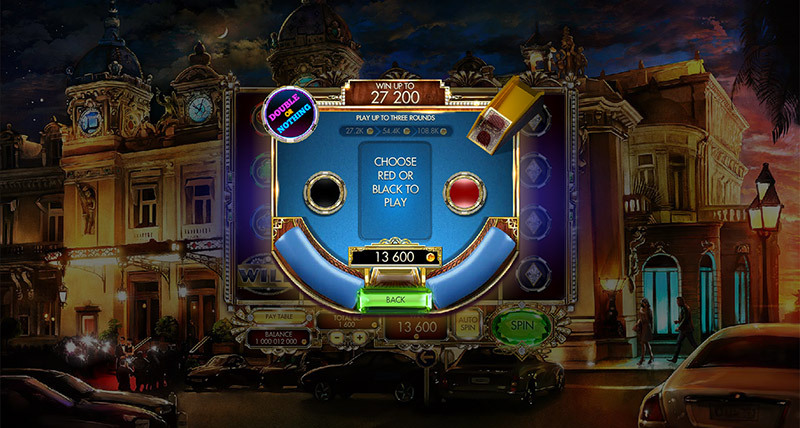 Ask the croupier for cards and win the Blackjack to get the free spins.